An eClass sandbox course is useful for any instructor or staff member who wants to explore the system, try out various activities, or do some practice course construction. You can also use a sandbox course to create eClassLive (Adobe Connect) sessions that do not correspond to a Bear Tracks credit course. Note: You can only have one sandbox per account. 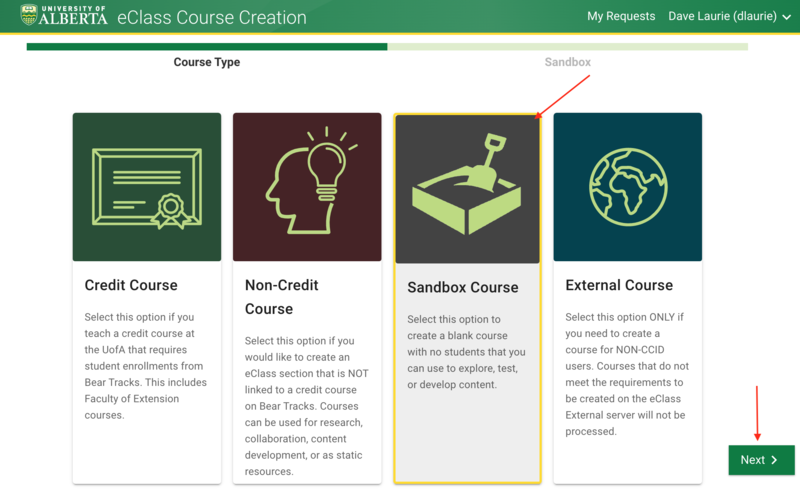 You can create an eClass sandbox course using eClass' automatic course request process. 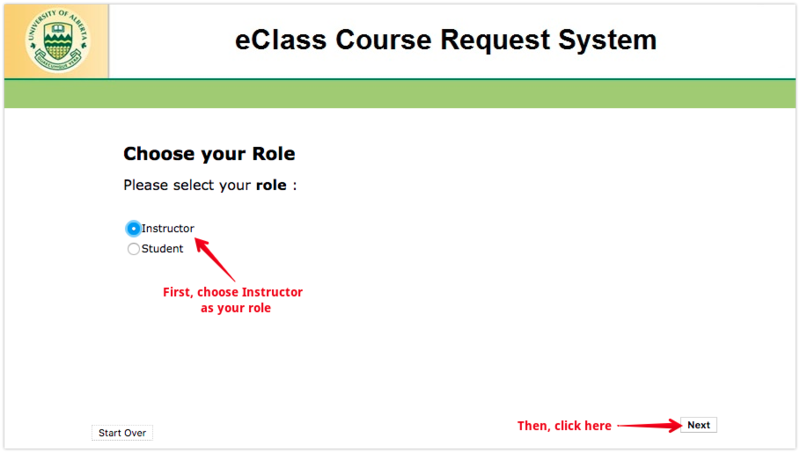 Visit the eClass Course Request System to get started. 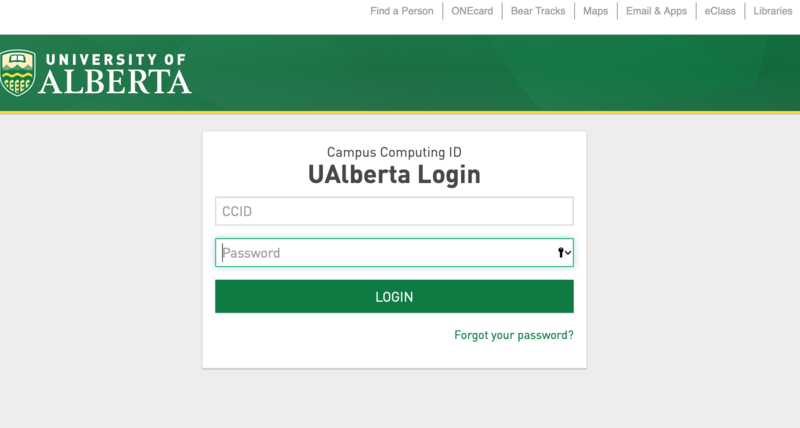 Navigate to the U of A home page, and click the eClass link near the top right. 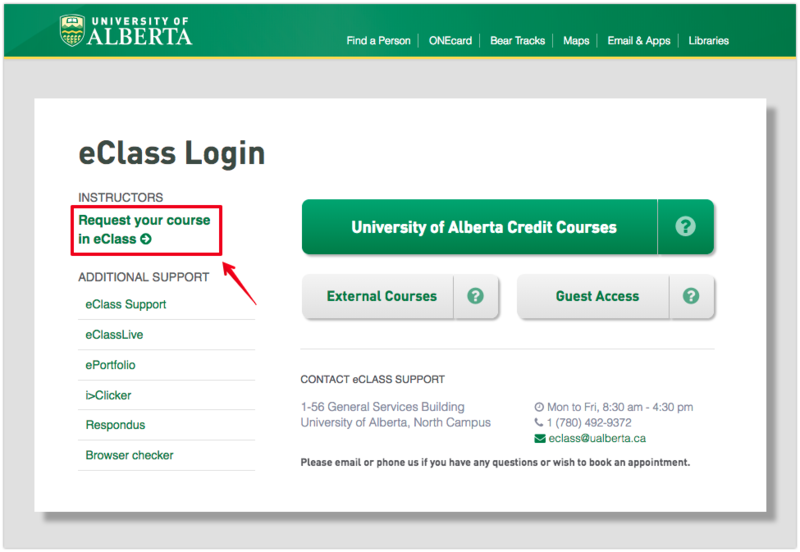 Then, click on the Request your course in eClass button underneath the heading 'Instructors' in the left hand column. Enter your CCID and password, then click on Login. Click on Request a Course. Specify Instructor as your role and click on Next. Then, select Moodle Sandbox as the course type and click Next. This will create the course on eClass and provide a link for you to access. If you have any questions about what can be done with a sandbox course or about the request process, please call IST eClass Support at 780-492-9372 and we will assist you.